The following post is from Ella L., a guest blogger. She taught in Korea, went to the Czech Republic and is now back in Korea. 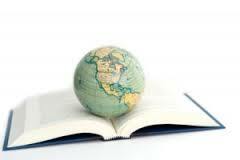 You might also be interested in reading, Stories from an EFL Classroom. What are your stories? Some months ago, i thought the grass was greener on the other side in Europe. I had a job offer in the Czech Republic, and thinking it was the offer of a lifetime, flew to Europe. However, what I got was less than what I expected thanks to a broken contract, unhelpful bosses, and theft. First, the contract was broken as soon as I had landed. I was told that the contract was invalidated at the immigrations office and so had arrived there with no legal documents to support me. I wound up being paid less than half of the promised salary and had to use online teaching to support myself. Second, the bosses there didn't help with anything. They made me pay for everything, never got me a refrigerator, and expected me to do my visa by myself, which was nigh impossible to do. They also did not pay for insurance, and expected me to cover it. Third, I had some items stolen from me. My son, who is nearly 2 years old, had some toys taken from him. I had a couple of valuables taken from me at the bus terminal. It broke my trust in humanity that a nanny could steal toys from a child they had cared for. I don't feel that Europe is the place to go anymore. You might find yourself having difficulty getting the work visa, spending a lot of money, having your items stolen from you, and find yourself struggling if you're not paid enough. Asia provides jobs with living wages and the people are more helpful, so I recommend going there.